1. This whimsical treehouse in Atlanta, Georgia. This hidden Atlanta gem features three separate rooms suspended in the trees, all connected by rope bridges. Swoon. Book it here for $375 per night. 2. This adorable and cozy urban oasis in Williamsburg, Brooklyn. TBH, finding a working fireplace in Williamsburg is pretty much like finding a pot of gold. Book it here for $175 per night. 3. This sprawling lake house with a view in Lake Tahoe, California. This five-bedroom West Shore lake house is ideal for big groups whether it's a bachelor trip, family reunion, or girlfriend getaway. Book it here for $795 per night. 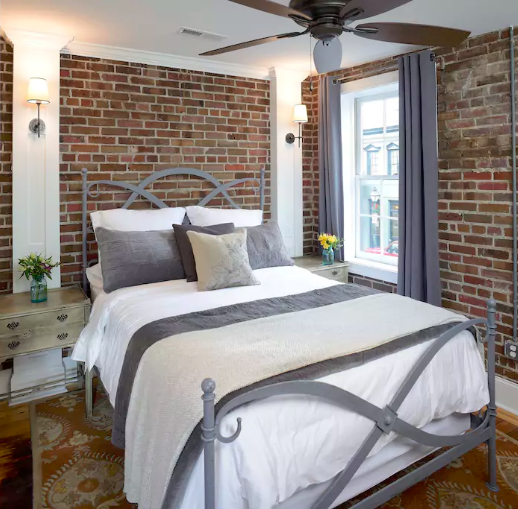 Can't you just feel the southern charm radiating from these adorable exposed brick walls? Book it here for $375 per night. 5. 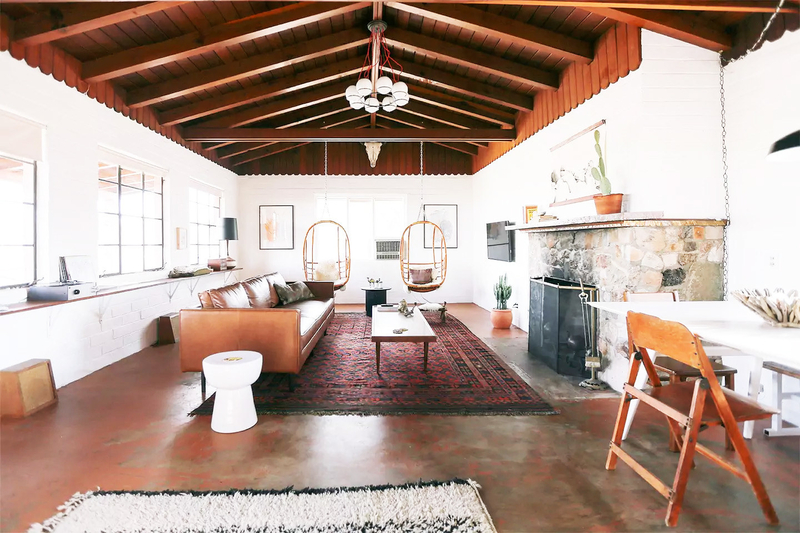 This minimalist desert casita in Palm Springs, California. 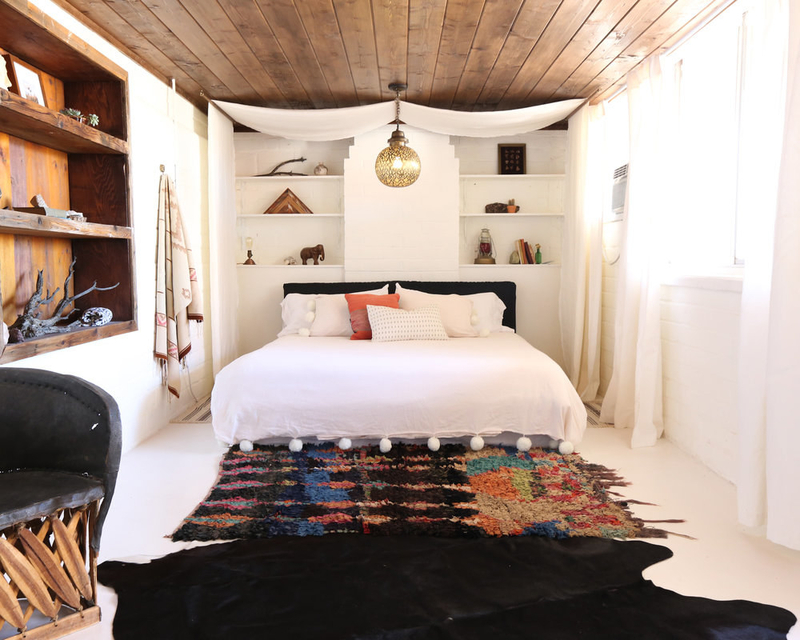 Located just a few minutes from Joshua Tree National Park, this hacienda is the perfect place to get away from it all. Book it here for $250 per night. 6. This rustic yet polished barn house In the Adirondack Mountains, New York. 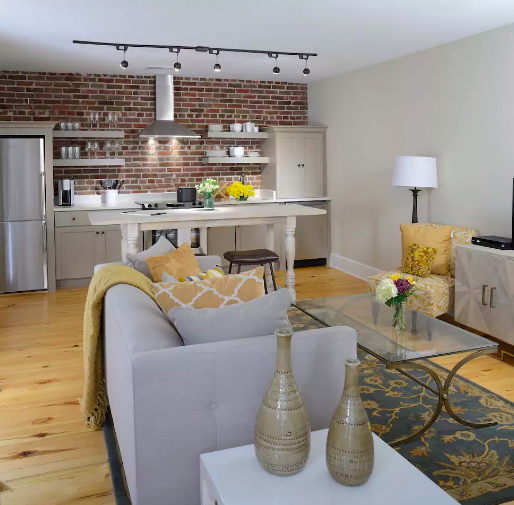 This quaint carriage barn, set on 22 acres of pasture, is attached to a creamery, so you're gonna want to try the homemade yogurt and dairy products. Book it here for $130 per night. 7. This pristine beach house with Pacific Ocean vistas in Malibu, California. "The sky is more blue in Malibu." -- Miley Cyrus. Book it here for $900 per night. 8. 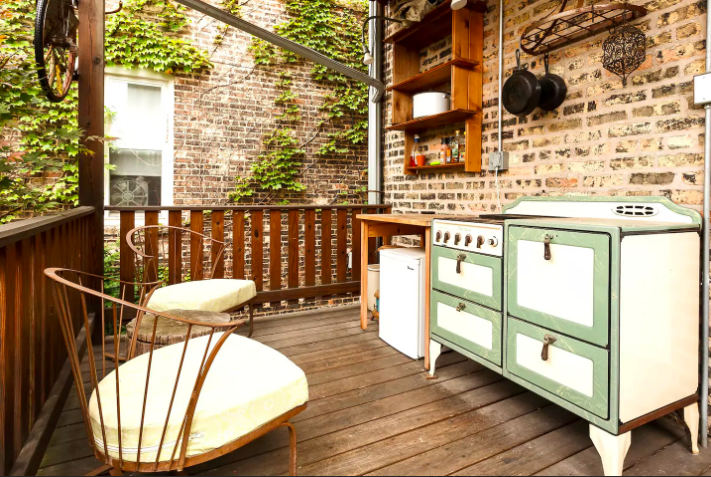 This trendy Wicker Park crash pad with ample outdoor space Chicago, Illinois. 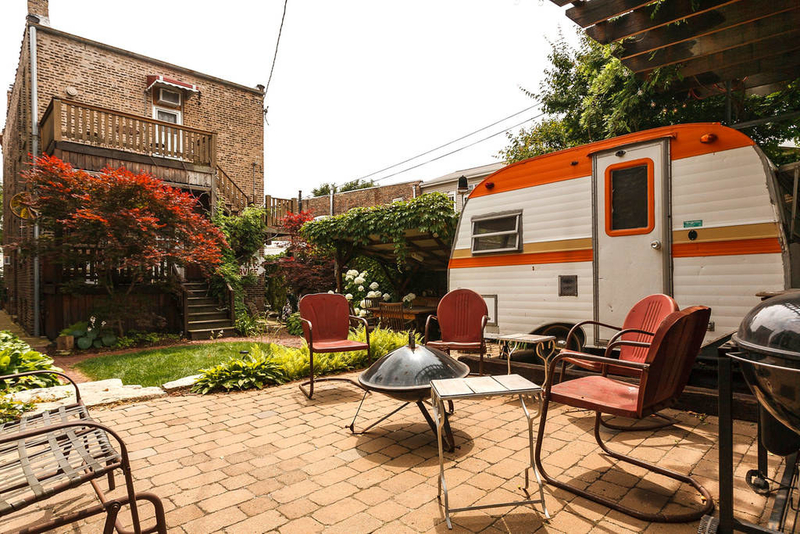 If this isn't the best back yard in all of Chicago, it's a serious contender. Book it here for $77 per night. 9. This tropical beachfront bungalow in Haleiwa, Hawaii. 10. This bright and cozy lakefront hideaway in the Catskills, New York. This is just about as hygge as hygge gets. Book it here for $165 per night. 11. This scenic canyon home with panoramic views in Sedona, Arizona. Let's talk about these red rock views. Book it here for $699 per night. 12. 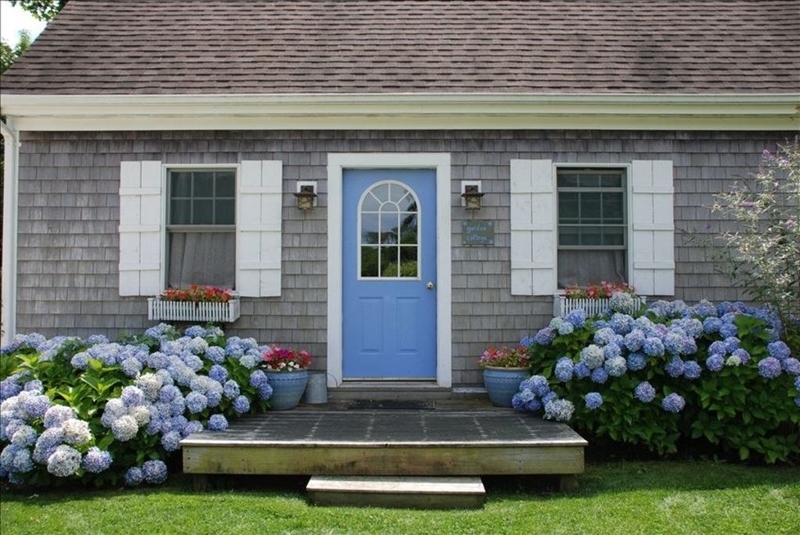 This adorable garden cottage on Martha's Vineyard. 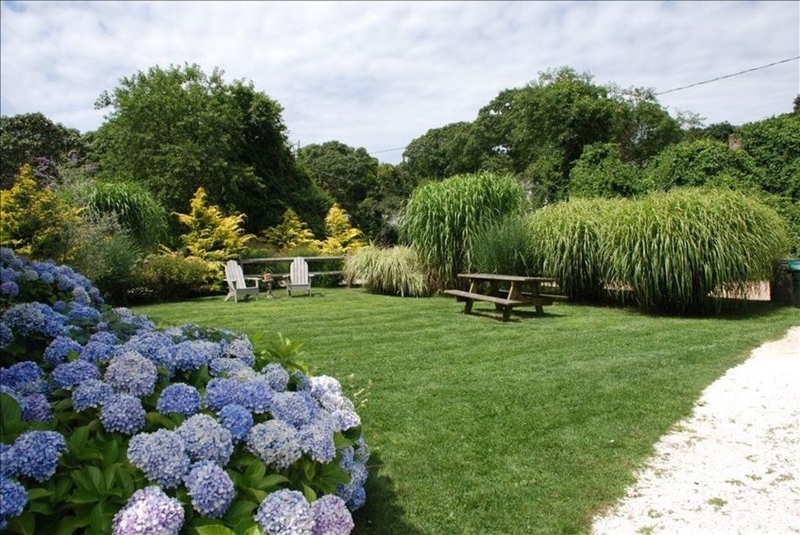 Located right near South Beach and a short drive from Edgartown, you'll be a stone throw's away from the best surf, shops, and restaurants the island has to offer. Book it here for $300 per night. 13. This rustic-meets-refined mountain house in Breckenridge, Colorado. Two words: Jacuzzi views. Book it here for $395 per night. 14. This cabin beneath the stars in Jackson Hole, Wyoming. Pssst, you can see the Tetons from here. Book it here for $565 per night. 15. 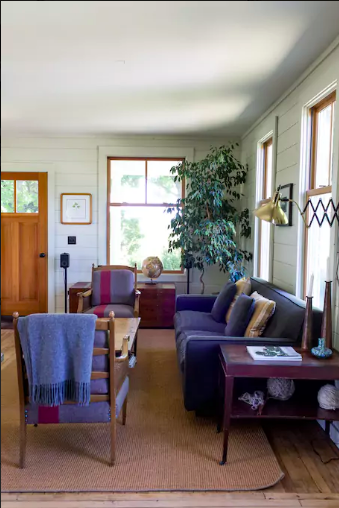 This luxurious, wine country farmhouse in Sonoma, California. Take a break from all the wine tastings to soak up the sun from your private pool. Book it here for $350 per night. You'd never know you're actually in Alphabet City. Book it here for $350 per night. 17. 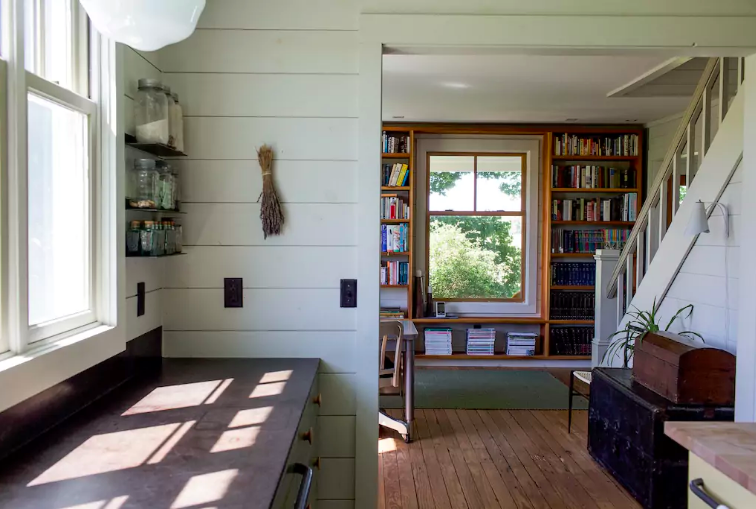 This perfectly decorated modern farmhouse in Leelanau County, Michigan. I looked up quaint in the dictionary and found this listing, set on Michigan's scenic Leelanau Peninsula, surrounded by farmland, dunes, and cherry trees. Book it here from $220 per night.